When in Canberra, our politicians resign themselves to long, hard days. Sessions that stretch long into the night, the early morning arrivals to do interviews at the doors before the day proper even starts, trying to fit in exercise and fitness somewhere along the line, and the pressure and expectation to look dignified all the while. 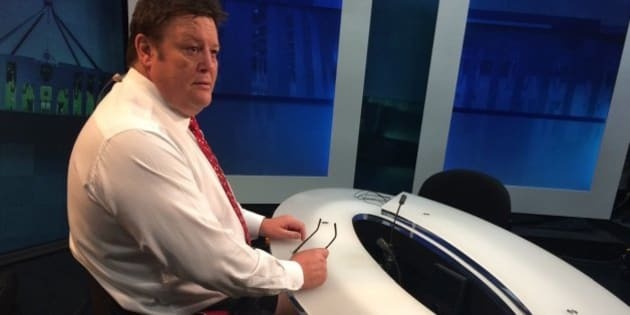 Senator Glenn Lazarus spent Tuesday morning on the Parliament House press gallery circuit, giving his views on the controversial Senate voting reforms announced on Monday. Lazarus, one of those independent senators who would be at risk of losing his seat if the reforms are passed, took the term "business casual" a little too literally. Yes; Lazarus, the former Australian rugby league legend, rocked up to parliament in footy shorts and joggers. Doing a few on-camera interviews with a shirt and tie from the waist up, but a more exercise-oriented outfit from the waist down, the senator's sartorial selections were the buzz of the press gallery as he walked the corridors between interviews. He quickly got in on the joke. Later, however, it was back to the official wardrobe as he donned a jacket, pants and -- presumably -- changed out of the Asics runners and into some more formal footwear. Lazarus isn't the first pollie to turn up in something a little more casual. Don't forget this immortal photo of Cory Bernardi, on the night of the spill that saw Malcolm Turnbull take office.